Villagers get emergency aid supplies at a rescue center in Wenquan village, Jianhe county, Qiandongnan Miao and Dong autonomous prefecture of southwest China's Guizhou province. 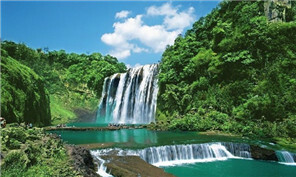 Colorful Guizhou Airlines, based in Guizhou province, recently reached a 10-year, $56-million deal with GE Aviation. 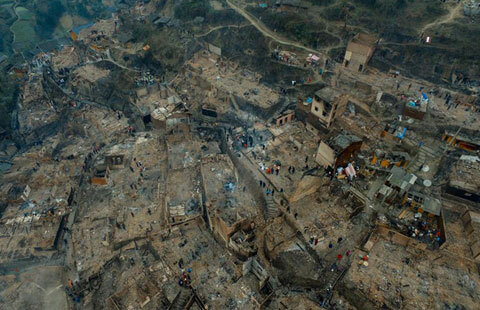 A catastrophic fire broke out on Feb 20 in the village of Wenquan, in Guizhou province, destroying one community. A fire that broke out on Saturday evening in Southwest China's Guizhou province has affected 120 people and damaged 60 houses, local authorities said on Sunday. People of Miao ethnic group perform during the Zhaiying dragon dance art festival in Songtao Miao Autonomous County of Tongren. Colorful Guizhou Airlines recently reported the signing of a long-term agreement with the Brazilian aeronautical company, Embraer. Guizhou province said in a report published on Feb 17 that its 13th Five-Year Plan calls for building the capital, Guiyang, into a large metropolis. Southwest China's Guizhou Province is expected to evacuate more than 9,000 residents for the protection of the world's largest ever radio telescope before its completion in September.